Private sessions are ideal for those who wish to have personalized yoga instruction. A one-to-one private yoga session allows time to focus and address your unique goals and needs. Through personalized yoga instruction, we look at what you would like to achieve from a wholistic yogic perspective. 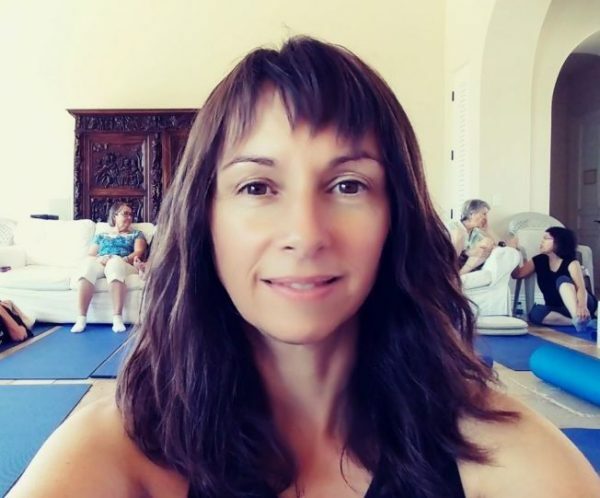 Combining 17 years of yoga teaching, a Psychology degree, Theta Healing, and Advaita Vedanta, Mandee brings a host of possibilities through a multilevel approach. We can design ways to improve health through the infinite variety of exercises and recommendations from yoga, adapted specifically to our needs, abilities, as well as our interest. Each session will provide you with insight, and if you like, a yoga prescription as a practice. Ultimately, we work together to find and address both the root and symptoms of whatever we are working through, promoting health on the mental, physical, and emotional levels. In-home sessions are adaptable to you, your routine, and your environment. Mandee will work with you to achieve your health goals. $100 per session (in-home or Skype), $80 for ongoing sessions of 3 or more. Packages and preferred rates are available. Options: Skype (local or international), in-person, or by telephone. Email or call 902-229-9642 for more info on ThetaHealing, pricing packages, or to book an appointment. Mandee and I met at a period of my life when my energy was severely depleted as a result of surgery and post-surgery treatment. What is so precious about Mandee is her extraordinary ability to listen deeply, and to offer feedback on what she has heard directly and indirectly from her client about their needs. Mandee is not only gentle and compassionate in her listening, but also in her teaching. The at-home program which Mandee created for me/with me, allowed me to have a daily gentle yoga/meditation practice even at the very low level of functionality I had at the time. Miraculously, that practice has grown with me over 2 years – even as my energy level has increased dramatically. The practice is still relevant to me, physically, mentally and spiritually. It likely will continue to be relevant because it is so flexible.